Unfortunately, many people put off going to the dentist because they find the process uncomfortable or even frightening. These anxieties are the cause of so many preventable dental conditions. 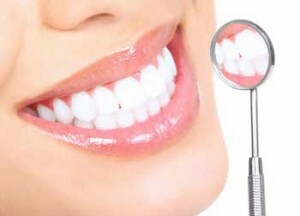 With sedation dentistry, however, you can visit your dentist without any discomfort. [spacer size=”40″] [box title=”Before the Appointment” color=”#6c77c1″]Your dentist will dispense to you a pill that you’re to take about an hour before the appointment. This pill will cause you to gradually relax, until you’re calm and ready for the appointment. You must bring someone with you or have a friend drop you off and pick you up, as you will not be able to drive. [/box] [box title=”During the Appointment” color=”#6c77c1″]During the appointment, you will enter into a state of total relaxation. You’ll be almost—but not quite—asleep. You may or may not remember parts of the appointment later, but you definitely won’t remember it in its entirety. While you’re in this state of relaxation, your dentist and his team will work on your teeth, sometimes tackling of several years’ worth of problems. [/box] [box title=”After the Appointment” color=”#6c77c1″]After the appointment, your caretaker will come and take you home. Because of the medication you were given, you will not be able to return to work or school that day. However, you will wake up several hours feeling calm and relaxed and not at all “drugged.” You will unconsciously begin to associate going to the dentist with more positive experiences, and you won’t remember your entire appointment. If you’d like to experience a sedation dentist appointment, then you should contact Fresno Dental Studio. We provide cosmetic and sedation dentists who perform everything from dental implants to Invisalign. For more information, call 559-297-1800 today. The materials available at this website are for informational purposes only and not for the purpose of providing medical or dental advice. You should contact your dentist to obtain advice with respect to any particular dental issue or problem. Use and access to this website or any of the links contained within the site do not create a dentist-client relationship. The opinions expressed at or through this site are the opinions of the individual author and may not reflect the opinions of the dental office or any individual dentist or medical professional.